Here is a list of top tourist attractions in Uruguay. Only the topmost tourist destinations are presented here. 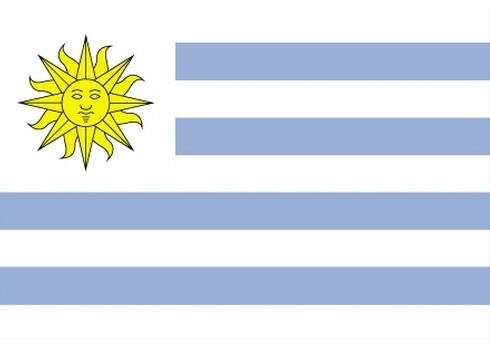 To see other destinations, please check the images from Uruguay section. Curious if any of these place from Uruguay made it our best tourist attractions in the world list? Read the aformentioned article in order to find out. You can also view all tourist attractions in Uruguay and other countries on our tourist attractions map. Palacio Salvo is a building in Montevideo, Uruguay, located at the intersection of 18 de Julio Avenue and Plaza Independencia. It was designed by the architect Mario Palanti, an Italian immigrant living in Buenos Aires, who used a similar design for his Palacio Barolo in Buenos Aires, Argentina. Finished in 1928, Palacio Salvo stands 100 m high with the antenna included. The site was bought by the Salvo brothers for 650,000 Uruguayan pesos. It was built on the site where the Confiteria La Giralda was once located, a place renowned for being where Gerardo Matos Rodríguez wrote his tango La Cumparsita in 1917. The original specifications, describing the details of the construction, describe a lighthouse at the top of the building, which was replaced by a set of antennas. The specifications stated “on the top part of the tower a lighthouse will be placed made by Salmoiraghi of Italy, with a parabolic mirror of 920 mm, reaching approximately 100 km, and a rotating 100 amp lamp.” The building was originally intended to be a hotel, but this plan didn't work out, and it has since been occupied by a mixture of offices and private residences. The building has a height of 95 m. While the set of antennas was at its top, its total height was 100 m. The antennas were permanently removed in November 2012. For decades it was the tallest building in South America. Casapueblo is the house of Uruguayan artist Carlos Páez Vilaró, located in Punta Ballena near Punta del Este, Uruguay. It is a homage to the artist's son Carlitos Paez, one of the sixteen survivors of the crash of Uruguayan Air Force Flight 571. Casapueblo is now a citadel-sculpture that includes a museum, an art gallery, and the Hotel Casapueblo. Built around a tin box called La Pionera, Páez Vilaró designed it with a style that can be equated to the Mediterranean coast houses from Santorini. A few years ago Páez Vilaró added a hotel called Hotel Casapueblo or Club Hotel Casapueblo to the house, following the style of the original construction. It now includes a restaurant named Las Terrazas. The Estévez Palace is a building situated in Plaza Independencia, Montevideo, Uruguay, designed in a combination of Doric and Colonial styles by Manoel de Castel in 1873. It has served as the working place of the President of Uruguay and has been eventually converted to a museum, housing artifacts and mementos of the Uruguayan presidency and its office holders. It was owned by don Francisco Estévez and his family until it was acquired by the Uruguayan government in 1880, when it was established as the working place of president Lorenzo Latorre in 1890. After the restoration of democracy in 1985, president Julio María Sanguinetti moved the seat of the Executive Power to the Liberty Building, which had served before as the Ministry of Defence. During the government of Tabaré Vázquez the seat was moved to the Torre Ejecutiva, which is next to the Estévez Palace. Laguna del Sauce is the largest water body in the Maldonado Department of Uruguay. It is located 15 kilometres west of Punta del Este.